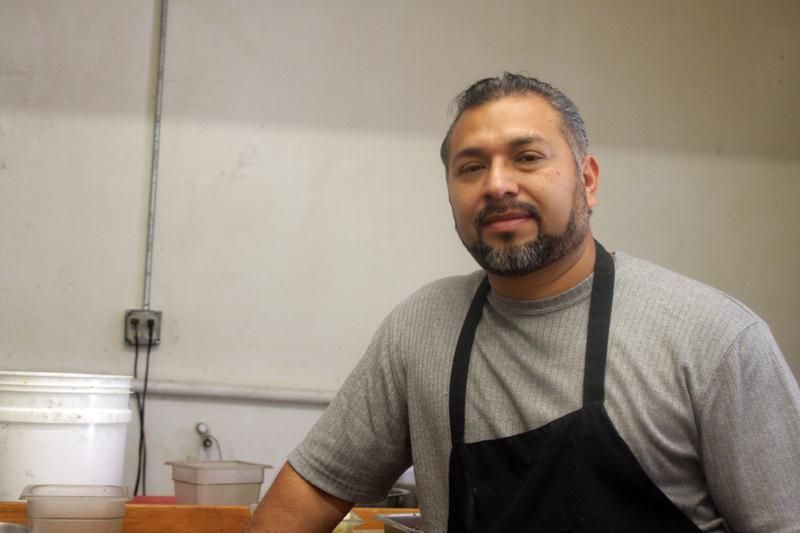 Eduardo Reyes realized a longtime dream back in 2001 when he bought a Guatemalan restaurant on Mission Street. 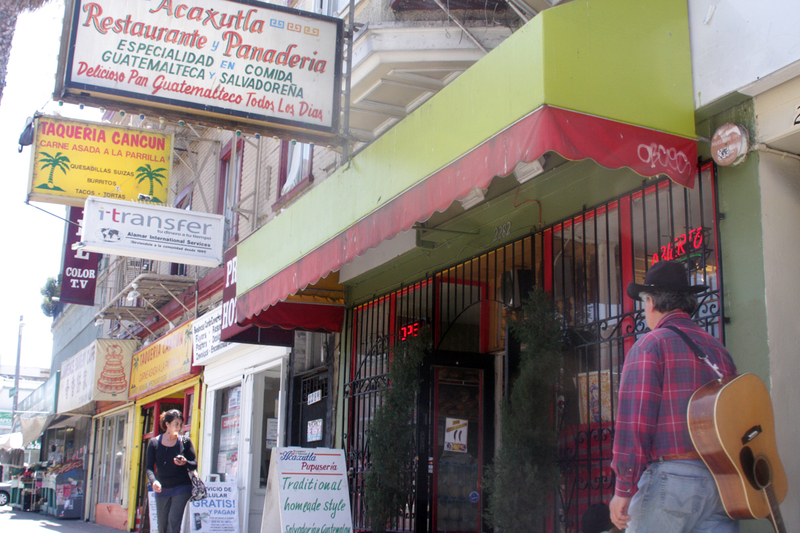 Now After 11 years in business, Reyes, the owner of Acaxutla, will close his Mission Street restaurant at the end of the month after failing to negotiate a new lease with his landlord. Reyes isn’t the only one having to pack up his business. At least two other struggling businesses left Mission Street this year. Mil Colores, a clothing store, General Merchandise, an electronics store, left this year after their respective landlords declined to sign a new lease. Gaby Salas, the owner of Charanga, told Mission Local last year that she had to close because her landlord also declined to renegotiate a lease. After more than 11 years in business, Eduardo Reyes will close his restaurant on 2282 Mission Street. immigrants — were out of work, he said. He tried to revive his restaurant, which specializes in Guatemalan and Salvadoran food, by catering to new Mission residents, he said. He stopped serving breakfast — once a staple to his business model — and started focusing on dinner. “We started developing a good dinner clientele,” he said, adding that he was able to pay off the back rent thanks to the resurgence of business. But it was too little too late, he said. Recently his landlord told him he would not offer him a lease. The restaurant’s last day will be June 30. It is sound advice, according to Dairo Romero, of the Mission Economic Development Agency. “Businesses shouldn’t go on with month-to-month contracts,” Romero said, because it exposes them to the whims of the market. Just a few blocks away, Sandra Billorin closed her boutique on June 1 after three years in businesses. She declined to speak to Mission Local but her landlord said the decision not to renew the lease was mutual. When Billorin talked to Mission Local after opening in June 2009, she was optimistic that her business would succeed, as many in the community knew her from her ten years as a waitress at Jim’s restaurant down the street. Bruce Chen, who is managing the property where General Merchandise was at 2221 Mission Street, said a similar situation happened there. 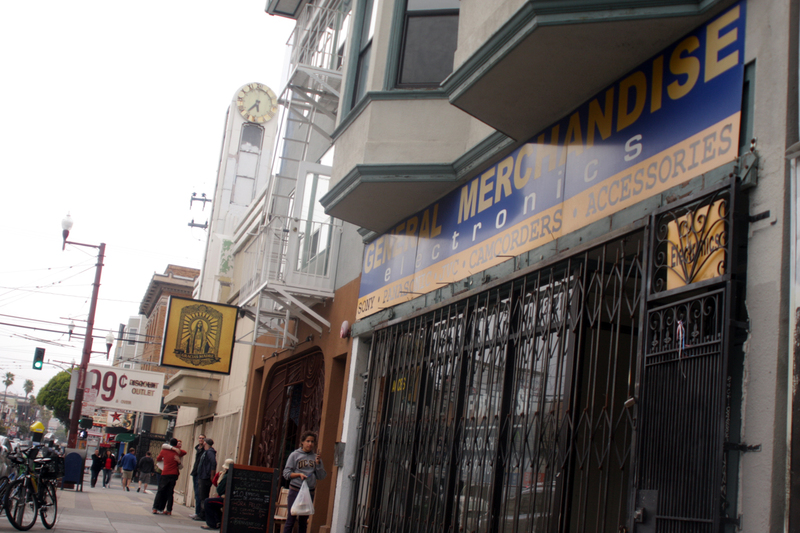 The space formerly occupied by General Merchandise, at 2221 Mission Street, is for lease. The new rent – $5,400 for 2,700 square feet, or approximately $2 per square foot – is modest compared to ones on Valencia Street where in some cases prices have reached as high as $5 per square feet for certain buildings. That’s also the case at the former Mil Colores space at 2487 Mission Street where rent has also increased to match current demand. Nazzal said he and his father are in no hurry to fill the space. They’re waiting for something with a good concept. “The street is turning around. It is almost at the tipping point,” he said referring to plans by Austin-based Alamo Drafthouse to develop a five-screen, 900-seat theater at the site of the New Mission Theater. At Reyes’ restaurant, architects and designers have come in and done measurements of the space. The landlord has already found a new tenant, Reyes said. Sadness .. they always had great folks working the bakery section at the front of the restaurant. Hopefully they’ll find another location to reopen. All the best to the Reyes family & employees. Goodbye Mission hello Noe Valley! Goodbye The Castro hello Noe Valley! Really sad – so many great mom and pops like these keep the neighborhood affordable, lively, and welcoming to folks of all economic backgrounds. Many of the newer, pricy restaurants are out of most people’s price range – and therefore creates pockets of “exclusivity”. We gotta keep supporting community centers like MEDA, who provide economic support and guidance to small, family businesses. so true, the mission is done. i walked down 18th st with my daughter on saturday night and actually saw limosines double parked, taxis and people being dropped off in audis etc. it was literally the marina, all about opulence and excess. dining/drinking in the mission just another notch in their belt. the only safety net that will slow down fast gentrification for the entire mission is the welfare hotels/street scene because the new valencia/mission crowd dont want to walk by those people/places. Can’t wait to pay $12.00 for a burrito, should be a reality by the fall. I love it when the wealthy white people who move to the Mission complain that it is being gentrified. When was the last time any of you shopped at Mil Colores? Factory 2 U, but Mil Colores was awesome. I agree with “Is” it’s sad that a lot of restaurants/stores are being forced out because of greedy landlords trying to capitalize on the Googolians. I’m really sad about Adobe Books. Everything grungy and cheap is disappearing, replaced by shiny, sterile, and obviously $$$$$$$. Yay! More coffee shops and expensive restaurants in the mission yay! My Irish/SF native aunt and uncles disagree. The mission was always working class. Definitely not a “comeback” by any stretch. It’s just different.